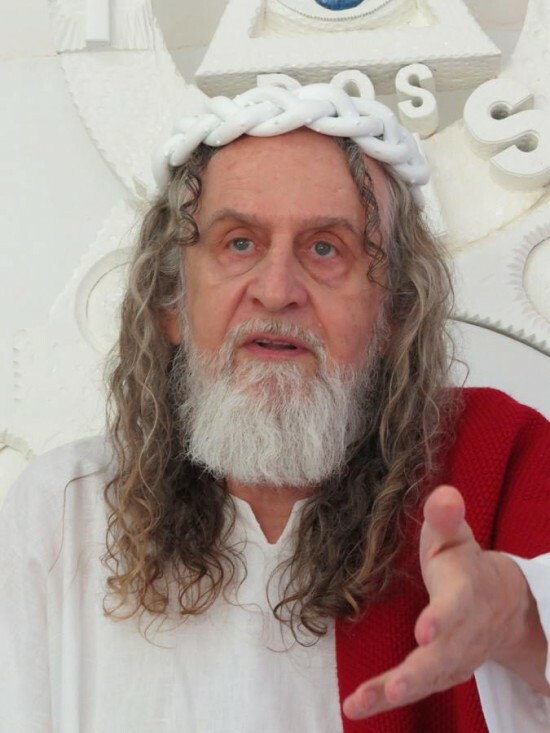 A 66-year-old Brazilian man believes he is the reincarnation of Jesus. He has been preaching the word of God for the past for the past 35 years. Born Alvaro Theiss, this controversial religious figure now goes by ‘Inri Cristo’. Inri is derived from the Latin acronym inscribed on the cross during Jesus’ crucifixion (INRI – Iesus Nazarenus, Rex Iudaeorum, which means: Jesus the Nazarene, King of the Jews). Cristo, his last name, means Christ. Cristo experienced his first revelation that he was Christ during a religious fast in Santiago, Chile, in 1979. Although he had a powerful voice in his head guiding him since childhood, on this occasion it told him clearly: “I am your Father. The God of Abraham, of Isaac, and of Jacob.” He has hundreds of followers around the world, and his own church, ‘Soust’, based on a lush farmland outside Brasilia. Soust is an acronym for Suprema Ordem Universal da Santmssima Trindade. Most of Cristo’s followers are women; many of them live in the church compound. They wear an unusual uniform – a blue robe with a rope tied around the waist. Some of them have been following Cristo for decades. The eldest is 86-year-old Abevere and the youngest is a 24-year-old girl who met him when she was only two. At the church, Cristo and his followers survive on homegrown fruits like bananas, avocados and mangoes. They have a vegetable garden as well. There is a chapel where Cristo speaks to his followers every Saturday morning. A kennel houses the dogs that guard the complex. Despite his claims of being the reincarnated Jesus, Cristo’s beliefs are highly unconventional and unorthodox. His views on subjects like capitalism, abortion and even Christmas have got him in trouble more than once. He has been detained by police over 40 times, and he was expelled from countries like the US, Britain and Venezuela.